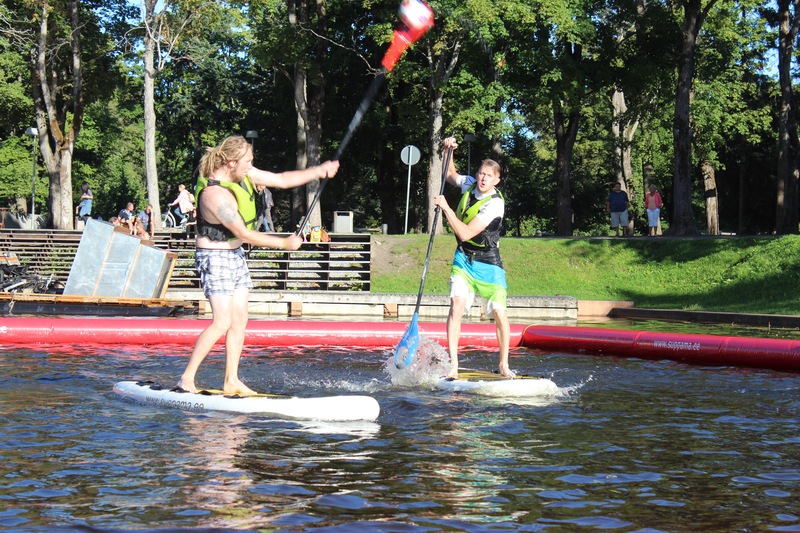 Stand Up Paddle Polo, or just SUP Polo, is a new sport being introduced in Iceland by kayakferðir. 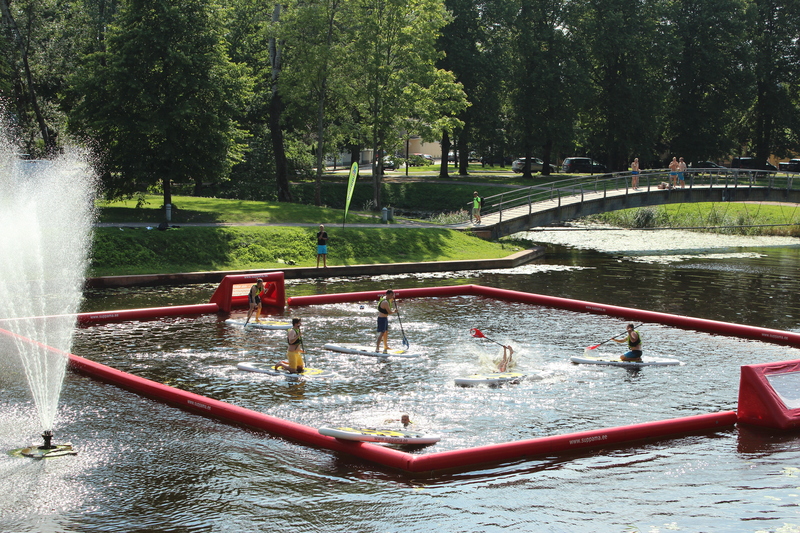 It does exactly what it says: Combines water polo with stand up paddling. And it’s fun! 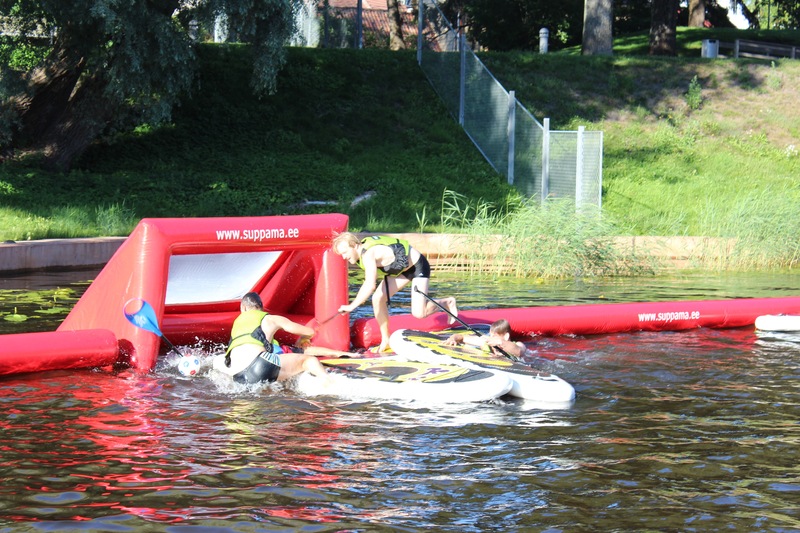 Really, really fun! 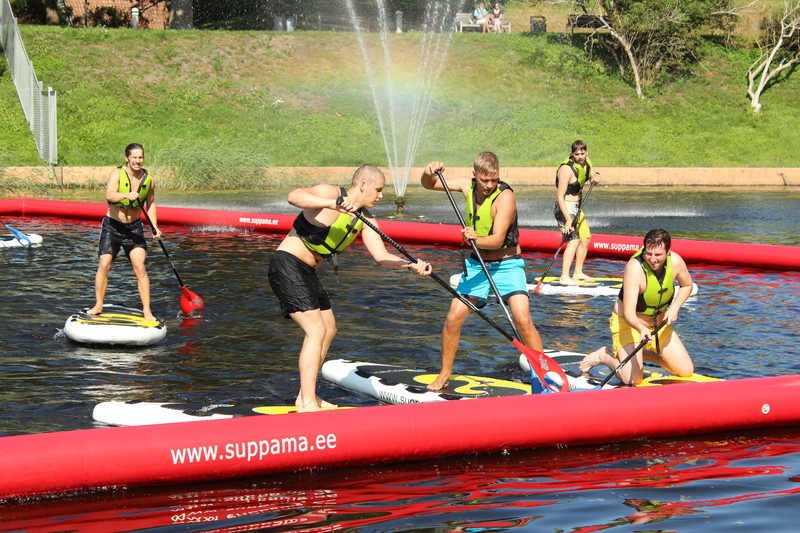 SUP Polo is best described as a cross between water polo, lacrosse and a destruction derby, all played out on inflatable boards inside an inflatable field. The game is short, fast, mildly chaotic and awesomely entertaining. 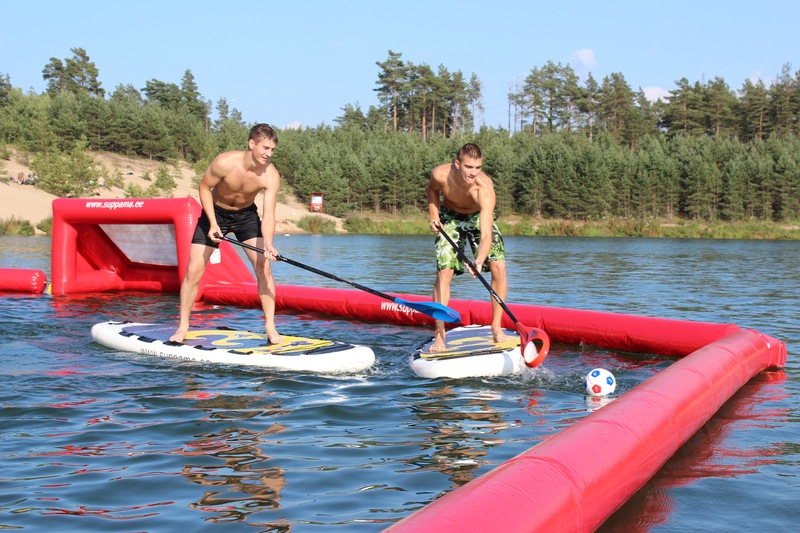 The complete package includes the awesome inflatable field & goals along with very special SUP polo paddles. 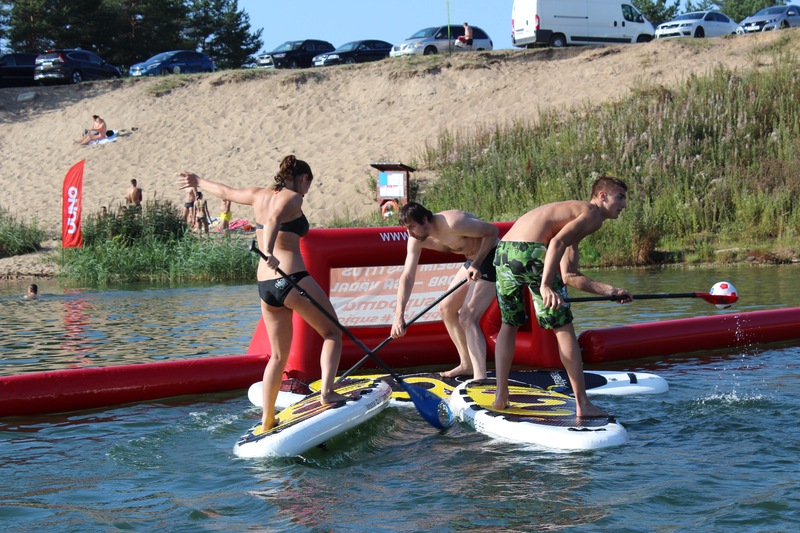 There’s even a specialised SUP Polo board design. 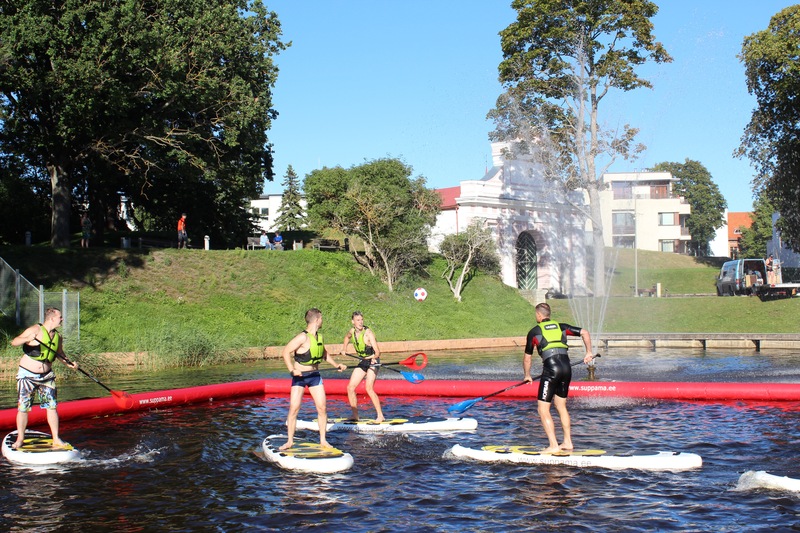 The rules of SUP Polo are pretty simple: The field is 25×20 metres and it’s three-a-side. You’ve gotta use your paddle to get the ball into the net in order to score. 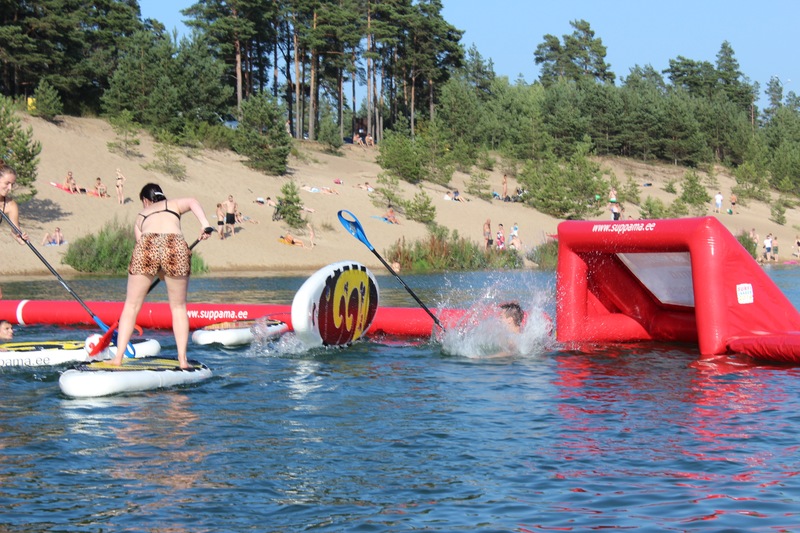 You can’t handle the ball while you’re on your knees or in the water, which is an important point to note because you WILL be in the water during SUP Polo. 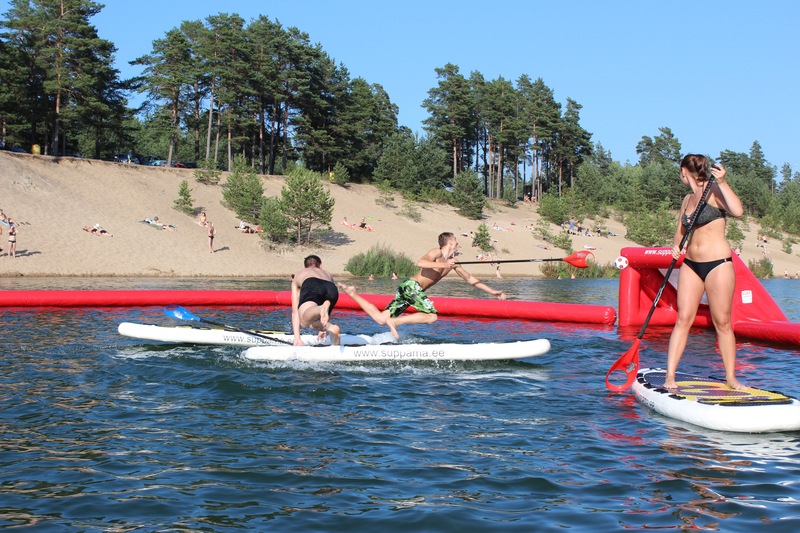 The halves are usually around 5 minutes each, which sounds short but will seriously tax your lungs: This game is not only fun, it’s also a hell of a good workout. 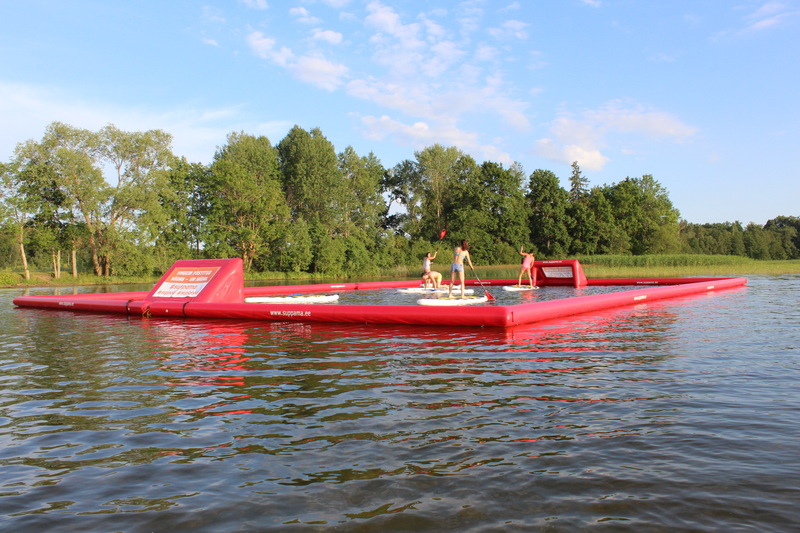 Ball can only be played while standing up, no kneeling or in the water passes or shots. No international contact with another player by striking paddles, or boards. If game tied after end of overtime, each player will shoot 1 shot at goal from midfield – the most goals wins. If still tied, each team will take a shot in sudden death shoot-out – team who scores first wins. Use hand or feet to block or advance ball – opposing team gets ball at point of foul. Running into another team players board or stepping on another players board- opposing team receives ball at point of contact. A player is positioned in front of goal without paddling and acting as a goalie – opposing team receives the ball. Kneeling while passing the ball or retrieving ball from the water while player is in the water – opposing team receives ball at point of foul. Intentionally charging another players board with your board – 1 min penalty assessed. Using hands or feet or head to block goal from being scored – penalty shot from midfield. Player is standing in front of goal (blocking), without paddling, shot is taken and blocked – penalty shot from midfield. When penalty shots are taken, all players must be behind player taking shot at midfield. Any player receiving 3 (1 min) penalties is disqualified. Team will play remainder of the game with only 2 players.